Fairbanks, Vases (MFA), no. 060. Kamares mouth. Decoration in black glaze on buff ground mainly horizontal bands. A wreath below neck. A zone of spirals around upper part of body. 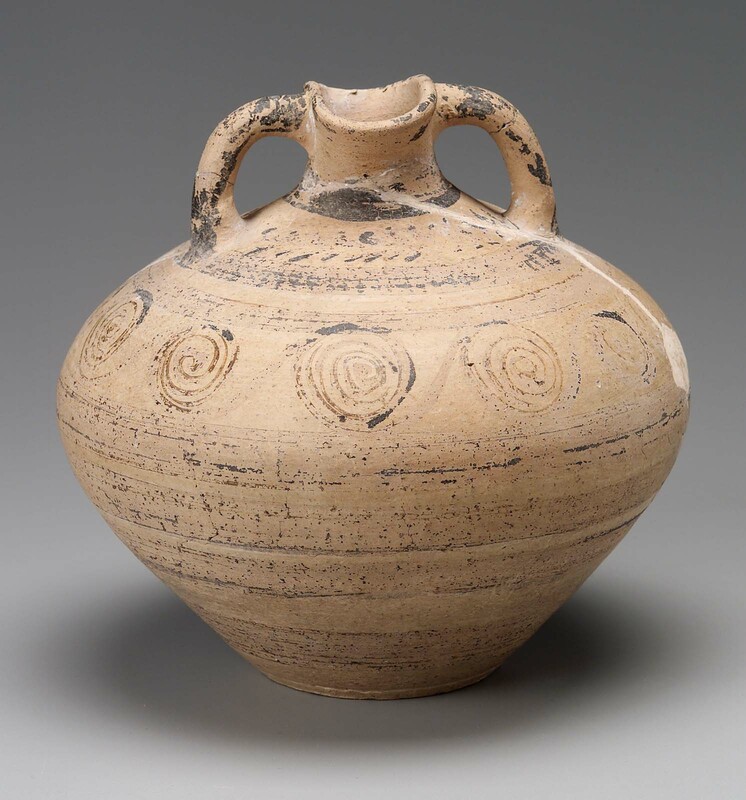 Spouted, two-handled jar.